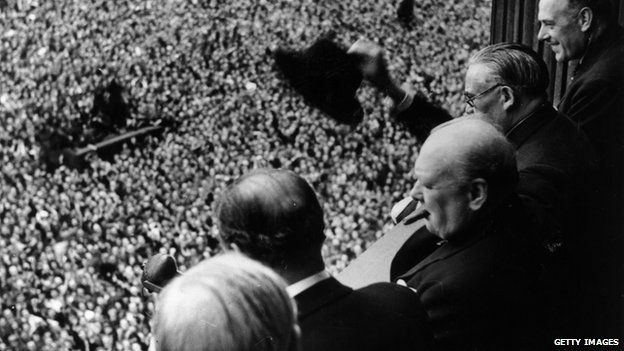 Today marks the 70th anniversary to the end of World War II. On 8 May 1945 people across the country lit hundreds of bonfires and beacons to celebrate the end of the war. 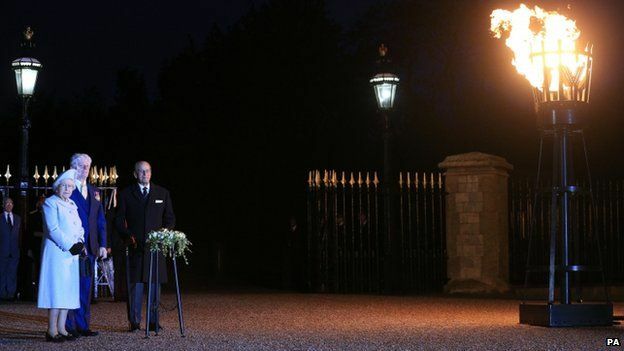 70 years later, the Queen was joined by the Duke of Edinburgh in lighting the first of hundreds of beacons in memorandum. Then and now, the country lit hundreds of bonfires and beacons to celebrate the end of the war. Events held across Europe marked the 70th anniversary of the end of the Second World War on the continent. Vintage World War II planes flew down the National Mall on Friday afternoon as part of the 70th anniversary Victory in Europe celebration in Washington. More than 50 military planes in 15 formations made their way down the Potomac River to the Lincoln Memorial and down Independence Avenue to the House office buildings before returning to airports in Culpeper and Manassas, Va. They flew in sequenced formations recounting the biggest battles of World War II, from Pearl Harbor to the final assault on Japan. Previous Post BIG News… Coming Soon!